Santa is fed up. Tired of playing nice with author and illustrator James Rice, he decides to give him a piece of his mind. What was wrong, he wonders, with the classic “The Night Before Christmas” tale? Why must he play sailor, firefighter, teacher, and doctor? Where will it end? 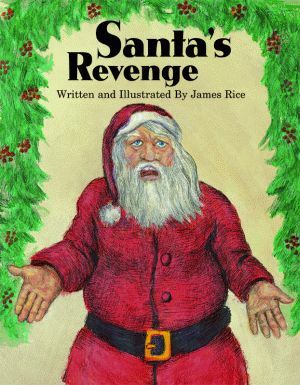 Author/illustrator James Rice wrote and illustrated sixty books and was the legend behind the Pelican’s Night Before Christmas Series. A kind of Santa himself, his work had a magical quality that captivated all ages with its whimsy and wit. Cajun Night Before Christmas, Mr. Rice’s first book, has more than 750,000 copies in print, and has been nationally recognized as a classic in its genre. The Night Before Christmas books Mr. Rice illustrated have a combined total of 1,552,000 copies in print. James Rice passed away at his home in Hico, Texas, in May 2004. Click here to view Sample pages. Click here for Chapter 1. Click here for the Front Matter.